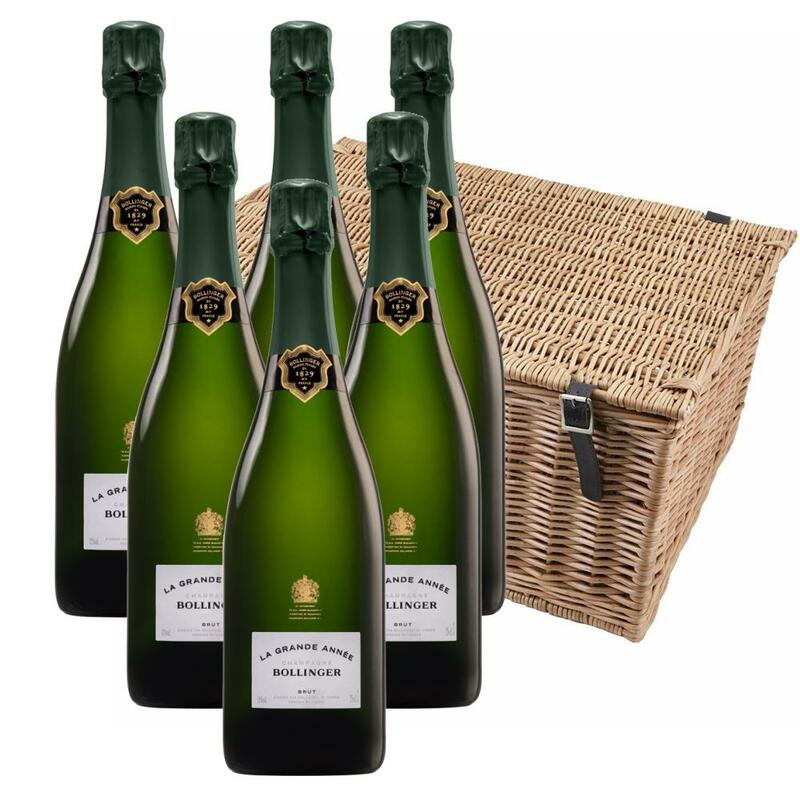 Buy a case of six Bollinger Grande Annee 2007 75cl - Bollinger Vintage Champagne Gift, All packed up in with shred fill in a traditional wicker hamper basket. Handwoven and made from top quality Autumn willow. Our wicker is steamed first to avoid splitting when weaving and then boiled afterwards to darken its colour. Faux leather hinges and straps with cut out handles on either end, finish off the product beautifully Wicker hampers, with their obvious on-going use around the home, are rarely thrown away and in fact are perfect gifts in their own right. No nasty stains or varnish are used in the manufacturing process. The house of Bollinger only produce vintage Champagnes in exceptional years when the grapes have reached a perfect quality and maturity with a perfect balance between the acids and sugars. Hence the denomination Grand Annee given to Champagne that is only produced from the grapes of that particular harvest. This Bollinger Grande Annee is delicately golden in colour to the eye and is a sign of the wine's maturity. To the nose gingerbread, honey and cinnamon aromas arise through it's great complexity. 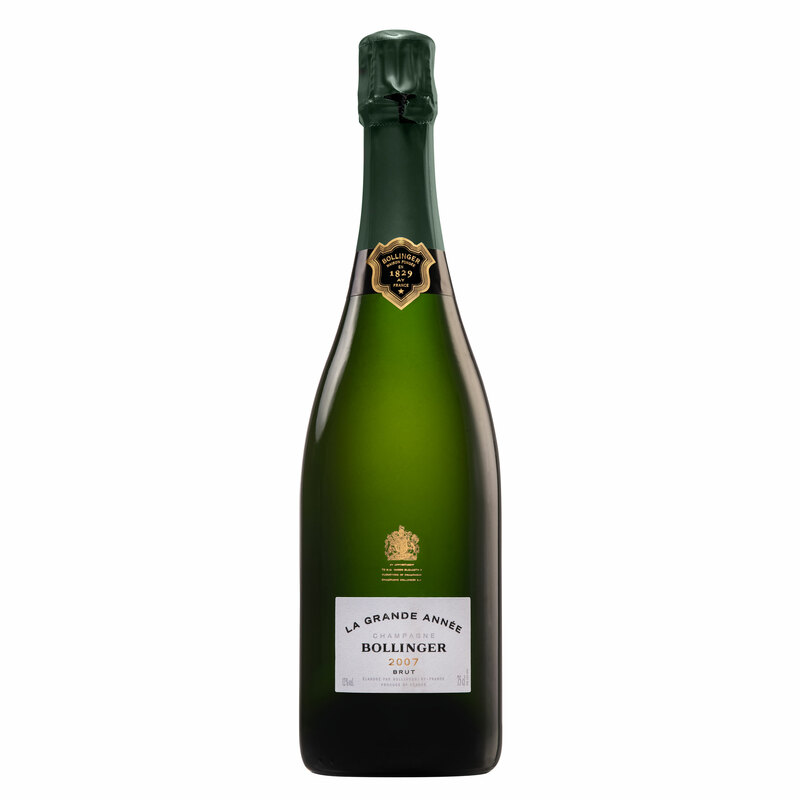 On the palate the Bollinger Grande Anne is supple and full with candied orange and ripe fruit flavours with subtle notes of woodland vanilla: A creamy effervescence.